EDMONTON - An Alberta dentist has paid more than $31,000 for a "yellowy, browny tooth with a cavity" that once belonged to John Lennon. British media reports say Michael Zuk, of Red Deer, Alta., won the molar at an auction in Stockport, U.K., on Saturday. The former Beatle reportedly gave the tooth to a house keeper who worked for him in the 1960s. Zuk, who's written a book on celebrities' teeth, told the media that he would display Lennon's tooth in a case at his dental practice. Paul Fairweather, an auctioneer at Omega Auctions who sold the tooth, told British newspaper The Independent that the tooth is by far "the most weird and wonderful item" ever submitted to the auction house. Faitweather says the bidding was very tense towards the end and a huge cheer rang out when the final bid was made. 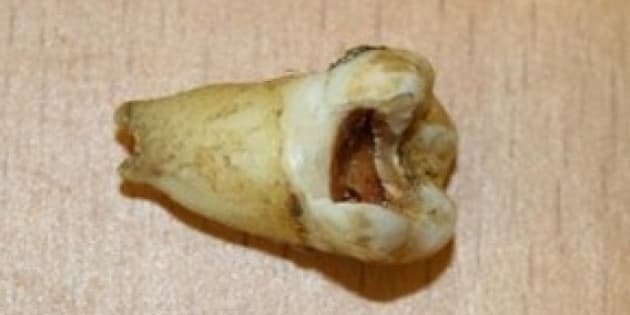 Lennon's tooth is the first Beatle molar to be sold at auction.